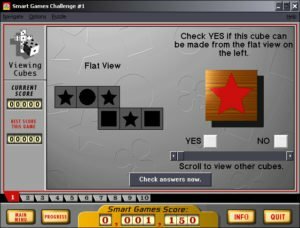 Packed to the brim with variations on classic brain-teasers that test your intelligence, Smart Games Challenge tackles everything from arithmetic puzzles to word games. 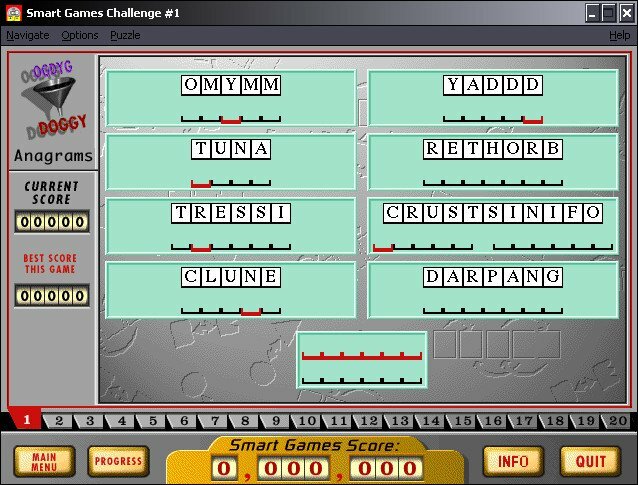 There are 20 categories to choose from, and each category features many different puzzles. 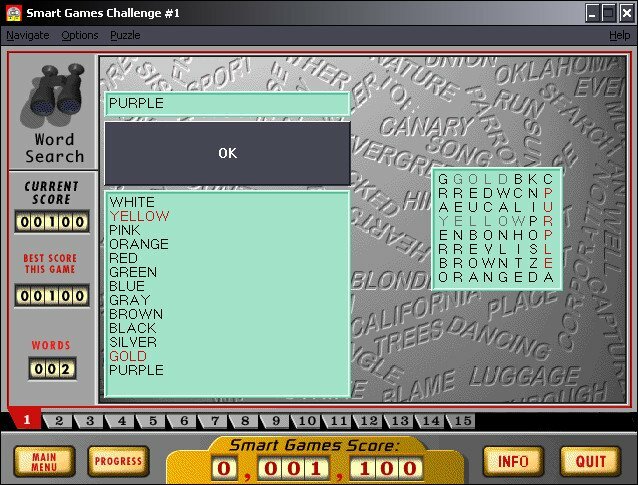 You won’t have to complete the puzzles in any specific order, so if a given puzzle is too easy, you can move on up until you find a challenge. 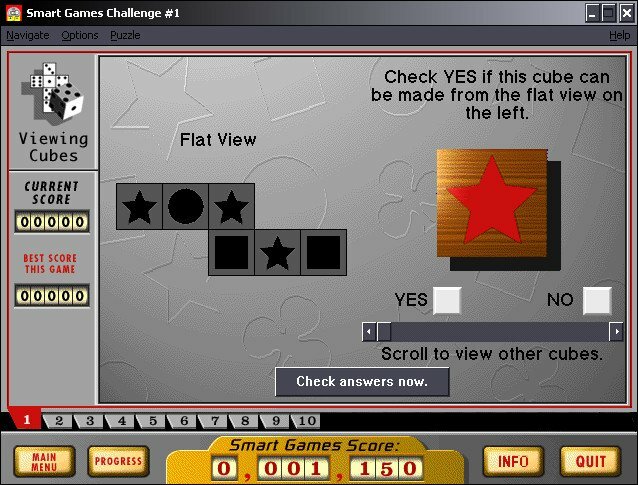 The higher the number you attempt, the more points you get for solving the puzzle, but heed this warning: Once you’re past the tenth puzzle in any given game, it’s going to get tough.. 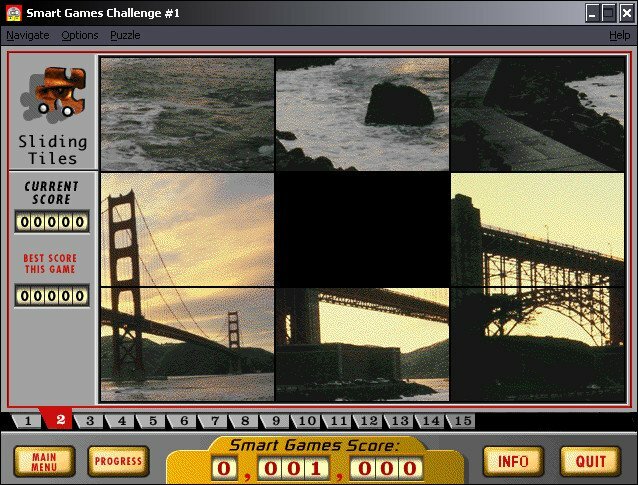 While there’s a lot of variety and any number of recognizable games to choose from, the more creative puzzles don’t always seem to fit in with the game’s overall theme of brain-teasing fun. In “Cash Crop,” you drive your tractor around a field filled with several crops, all priced differently. The goal is to earn the most money in a pre-set number of turns by harvesting the crops. 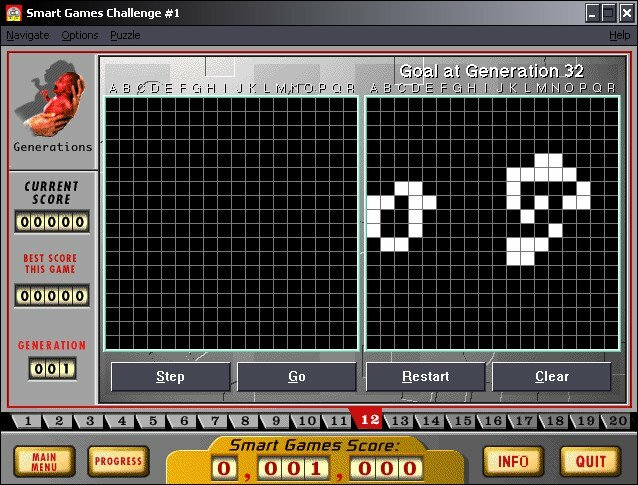 After about three goes around the field, you’ll either be addicted or bored to death. But, then again, that pretty much describes the feel of the entire package. 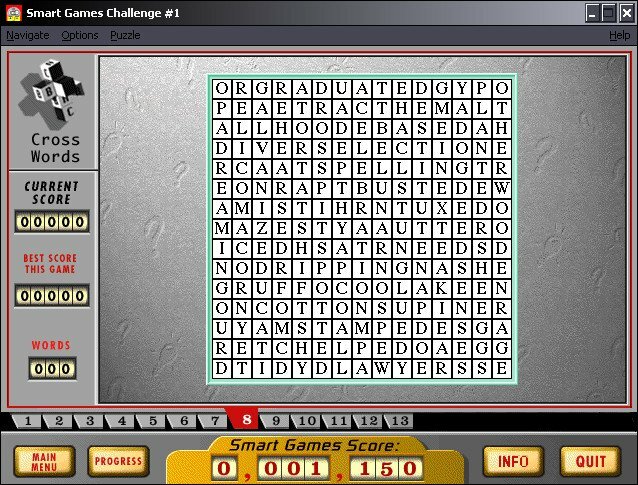 The puzzles get really old really fast, and have only limited appeal. 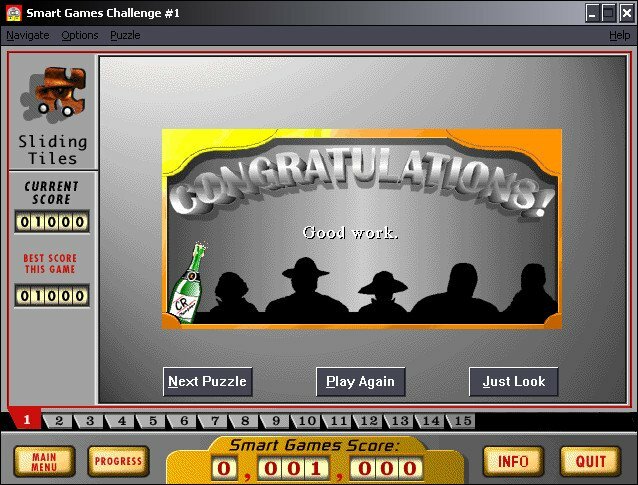 After a long day at work, who wants to come home and do some more work under the guise of playing a game? 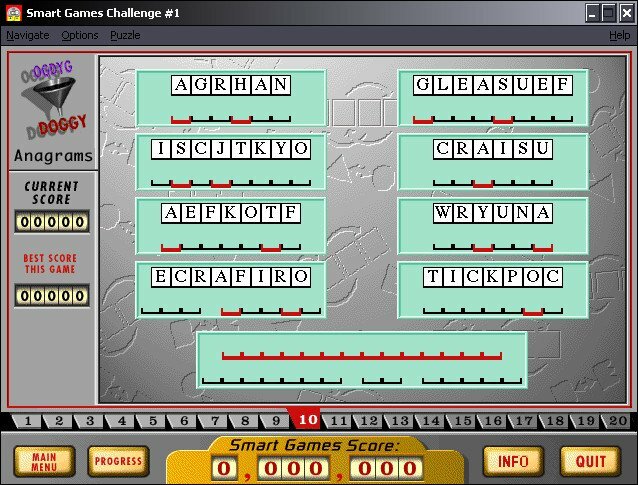 In the end, Smart Games Challenge will likely appeal mostly to the cerebral among us who find entertainment through these mental workouts. For everyone else, thank goodness we have dumb arcade games. Thank you for the download! 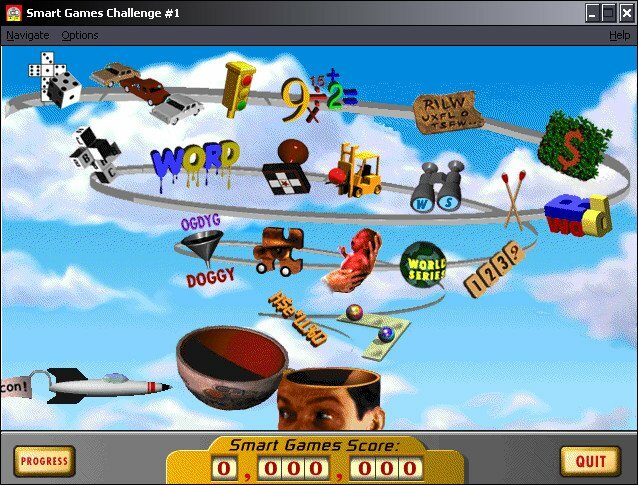 I played this as a kid and I was wondering where I could find a copy for a while.